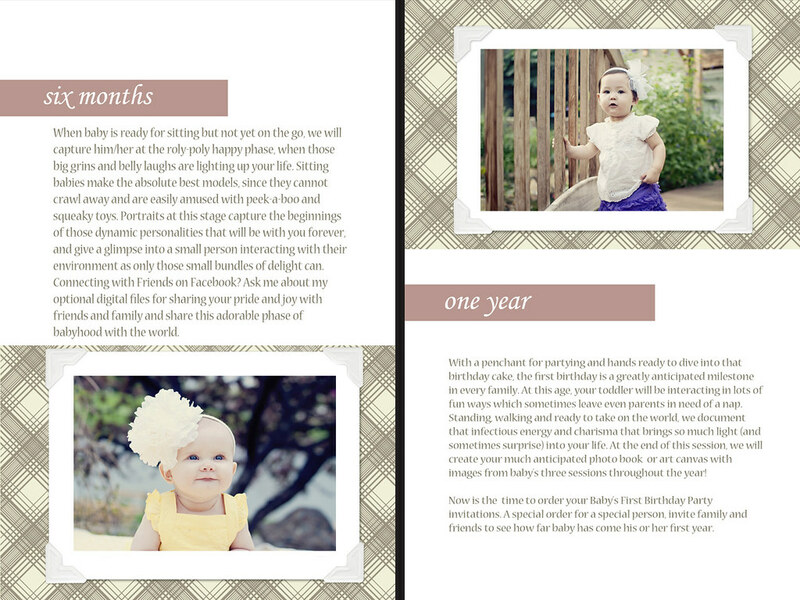 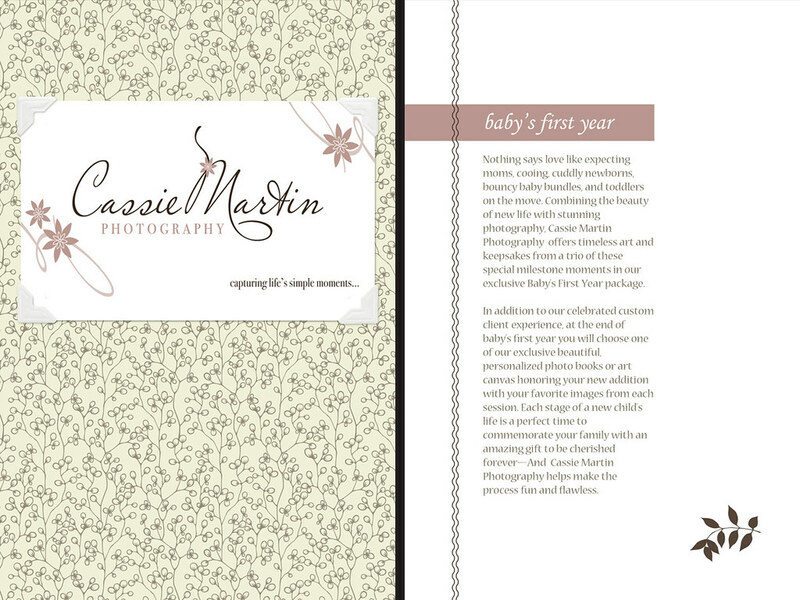 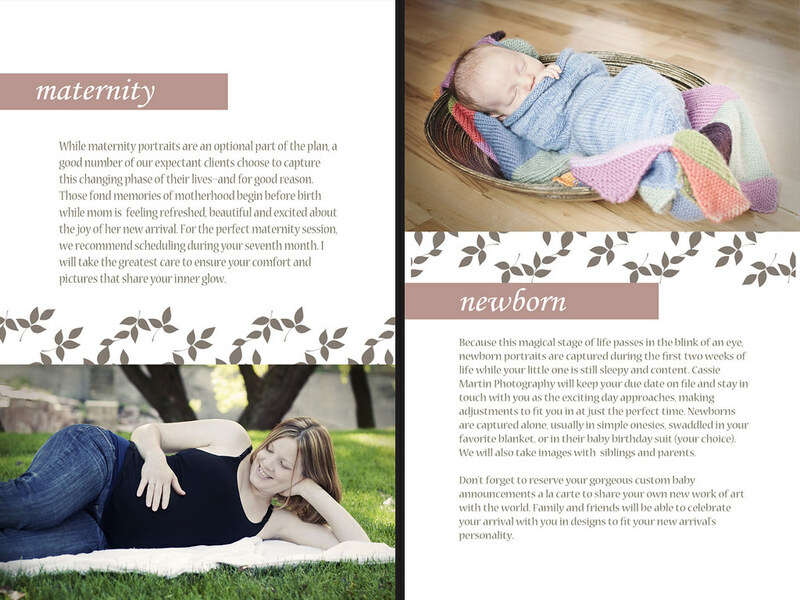 I'm happy to say I finished redesigning my baby plan to match my new logo and marketing material! 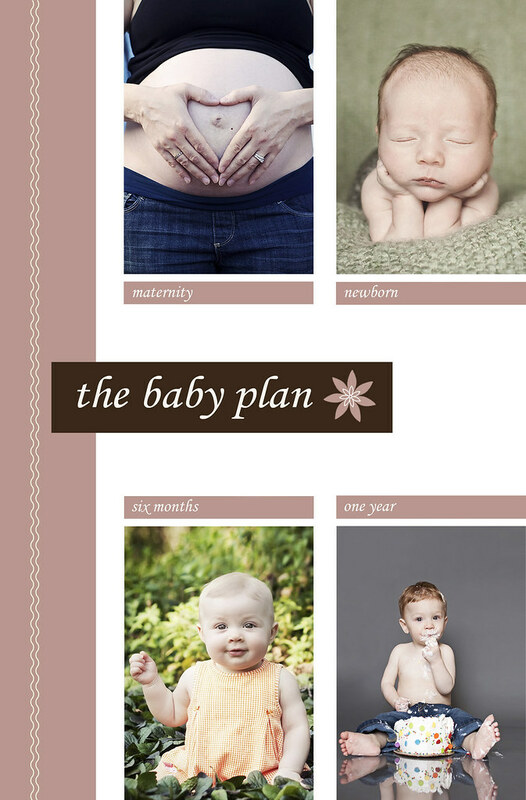 The plan, which consists of 3 photo sessions and your choice of a 10x10 photo book or art canvas, is outlined in this 8 page brochure. 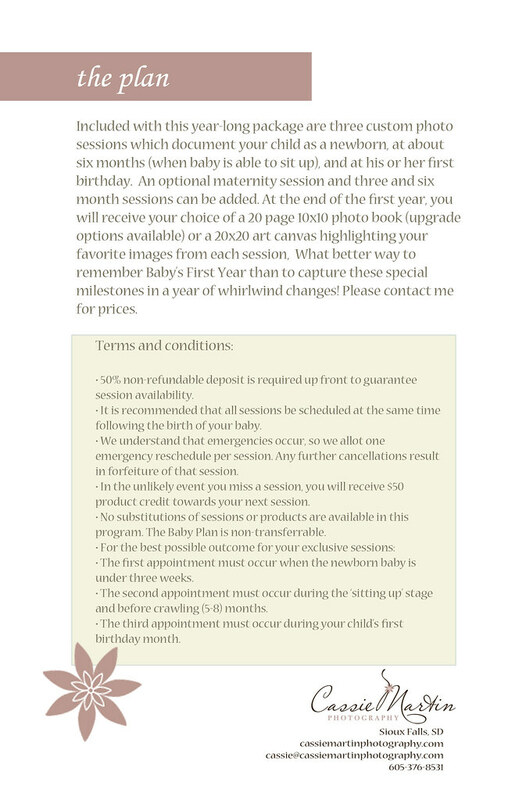 This would make a fabulous gift for expecting parents.